Inject a splash of colour with the Cabana Chic LED indoor light chain. 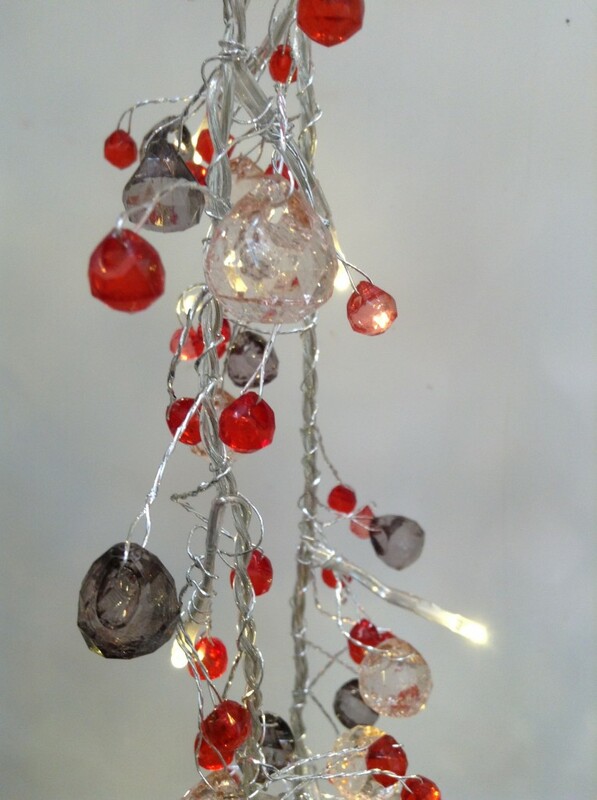 This delicate light chain with it's smoky grey and festive red crystal-effect accents has many uses around the home. Try using in the centre of a dining room table instead of a candle, across the mantelpiece or accessorize a dark corner in any room of the home. 27 LED bulbs, total length 2.7 meter of which 1.7m illuminated. Available as battery powered supply. Requires 3 x AA batteries (not included).